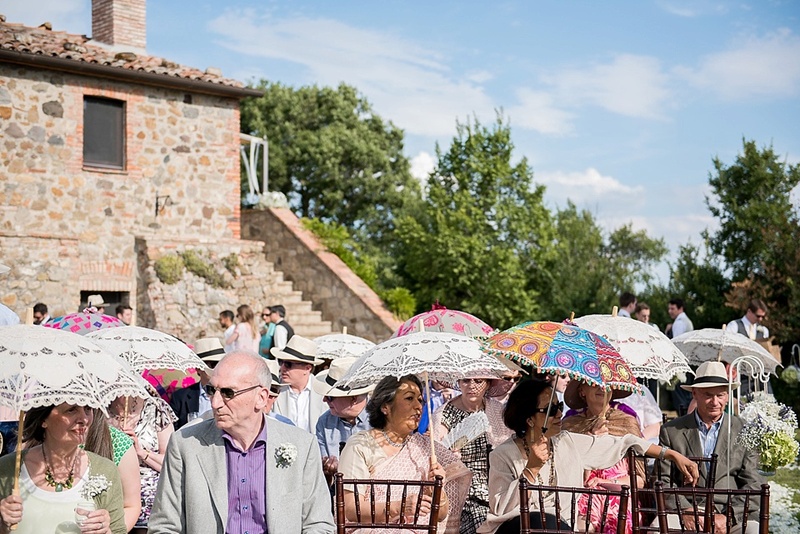 I love it when we receive weekend long celebrations, especially when there is double the inspiration, fashion and fun, and this destination wedding at Borgo di Castelvecchio in Tuscany is most certainly not in short supply of any. 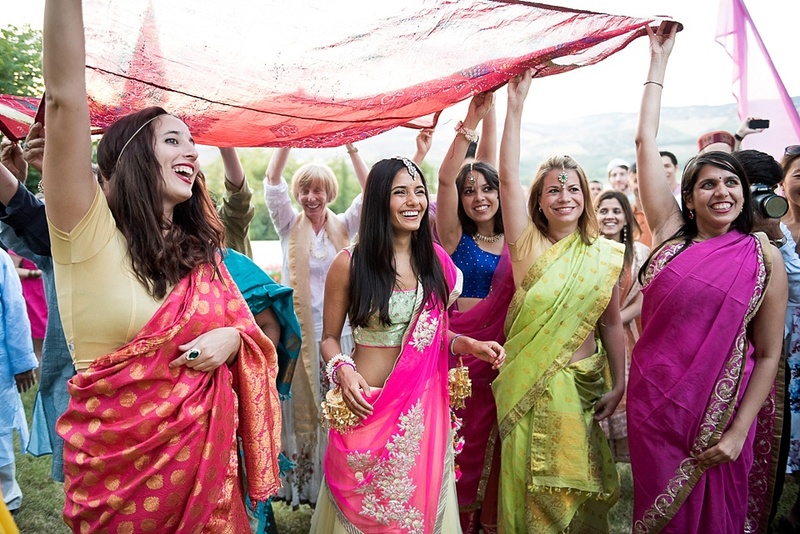 The festivities kickstarted with fun and frolics with friends and family around the pool, followed by a colourful Indian ceremony. The Bride, Groom and guests all wore traditional attire, partook in bhangra dancing with ceremonial bells and had what looks like an absolute riot. The Groom even arrived by horse! 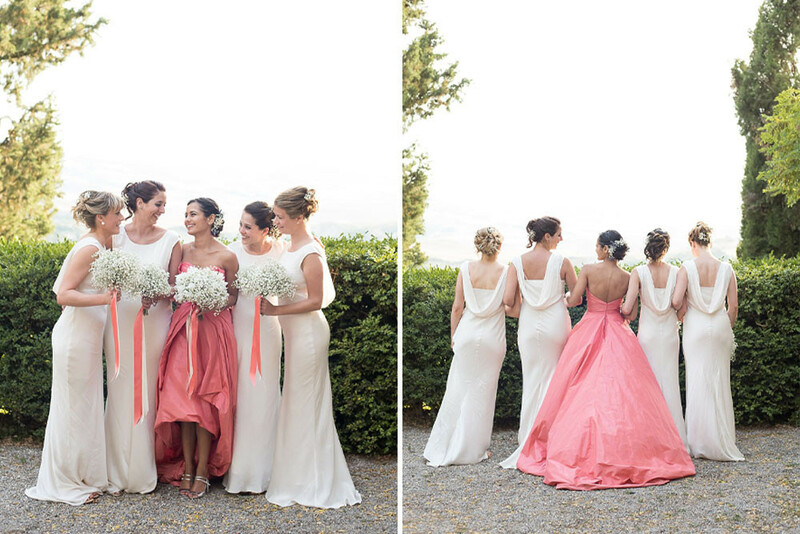 The second day followed a more traditional white wedding theme with the exception of the Brides stunning Coral Oscar de la Renta gown which popped against the Bridesmaids white Ghost dresses and looks epic billowing in the wind surrounded by those stunning Tuscan views. I won’t spoil any more for you I’ll just let the gorgeous images by Fiona Kelly do all the talking. Enjoy. Every. Detail, let’s just say you’re in for a treat. 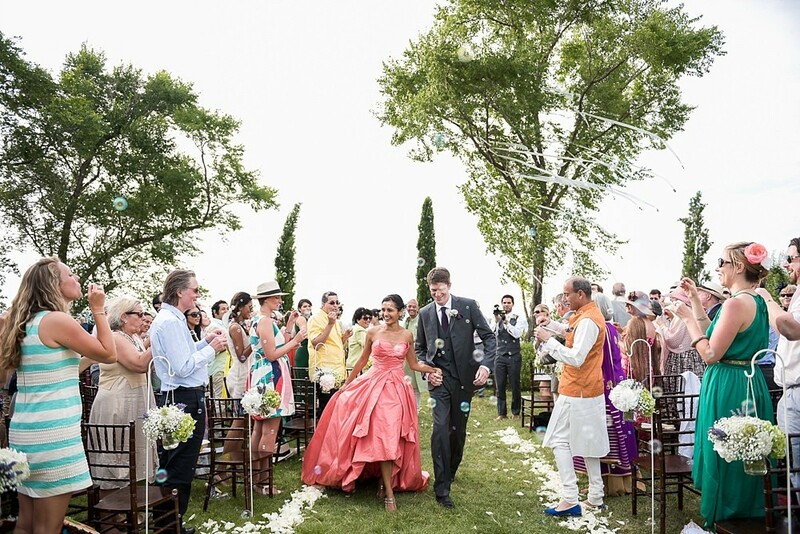 Som The Bride: I wore a dress from Oscar de la Renta. 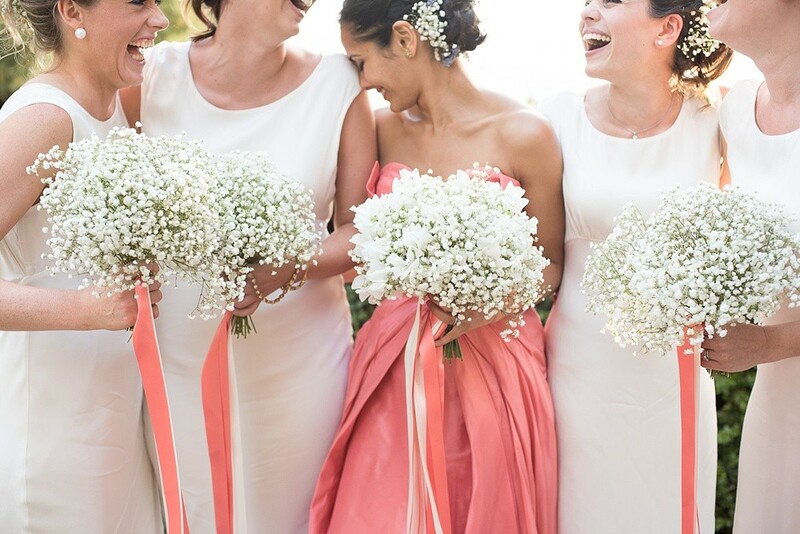 It was a soft coral colour and made of an amazing silk parachute-like material (which really came into its own in the wind on the wedding day!) It was strapless, with a low back and finished at the knee in front while flowing out dramatically at the back. I wore silver shoes with a block heel from Miu Miu. The hairstylist created an amazing hair piece for me made out of tiny white flowers and lavender. I also wore a diamond bracelet which was a wedding present from my parents. Jonny wore a grey three-piece suit, with lavender coloured silk lining and a purple tie. The outfit was made by a tailor that Jonny uses in Hong Kong he has used since he lived there. When we got engaged, we thought back over the weddings we’d been to, to try and understand which ones had stood out for us. Our favourite weddings had been those that had taken place over a few days somewhere – at these it felt like the guests (and couple!) had more time to relax and enjoy the occasion rather than just thinking about how to get a taxi home! Because of this we decided we wanted to get married abroad. 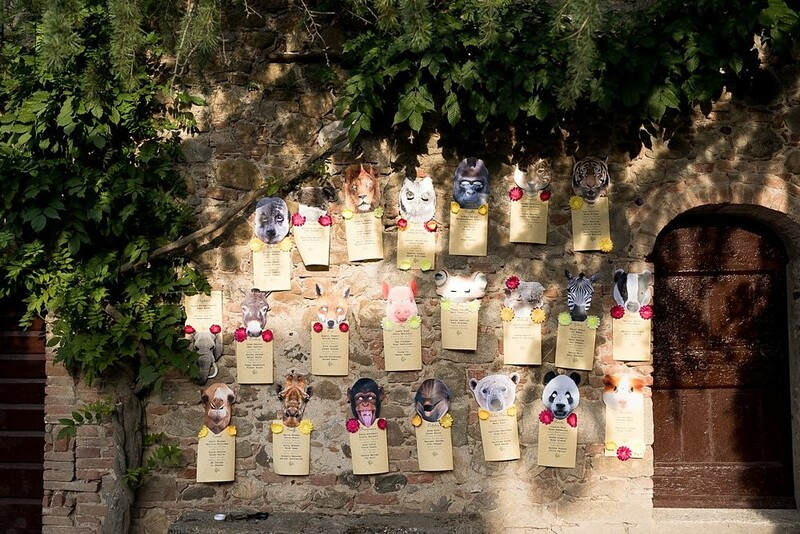 Choosing Italy itself was easy – we love the food, the wine and landscape. 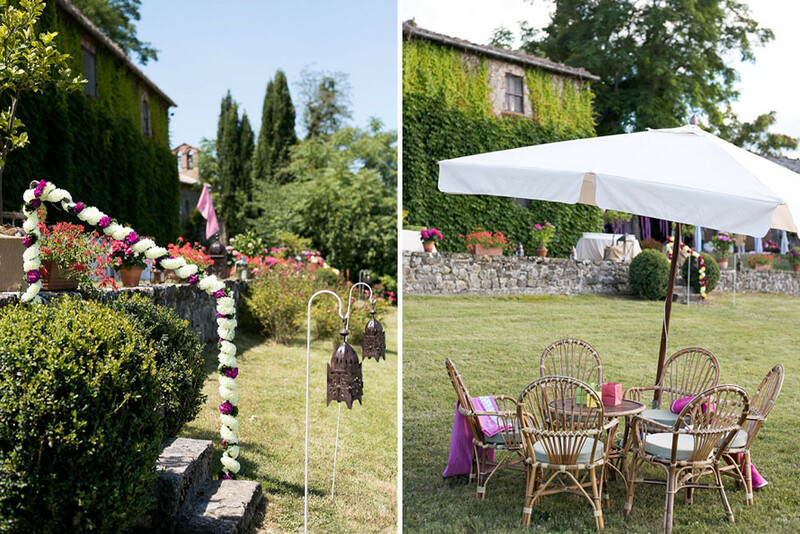 We found the Borgo di Castelvecchio in Tuscany after a weekend of looking at different venues. What made it stand out (other than the amazing views!) was that it didn’t feel overly formal or pretentious in anyway and we loved the people that worked there. 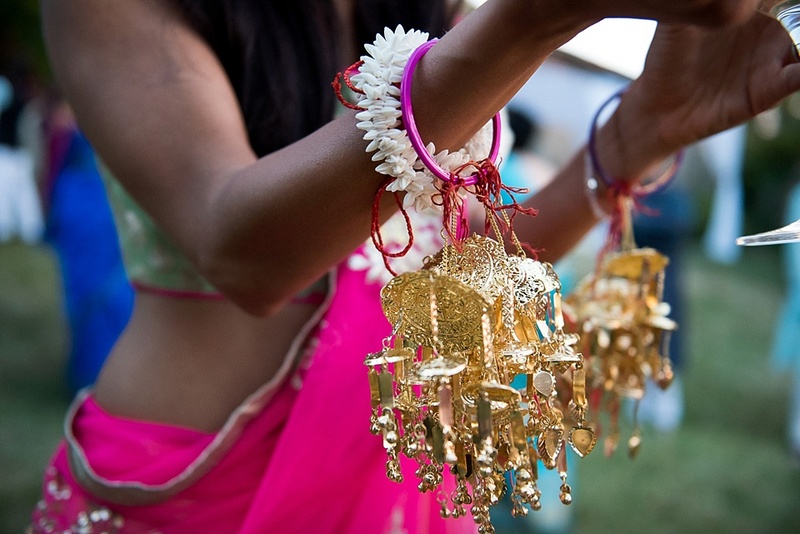 Plus a friend had been to another wedding there and raved about it! We had ribbons hanging on trees all over the Borgo that were cut from sari materials and hung with bells that jingled in the wind. 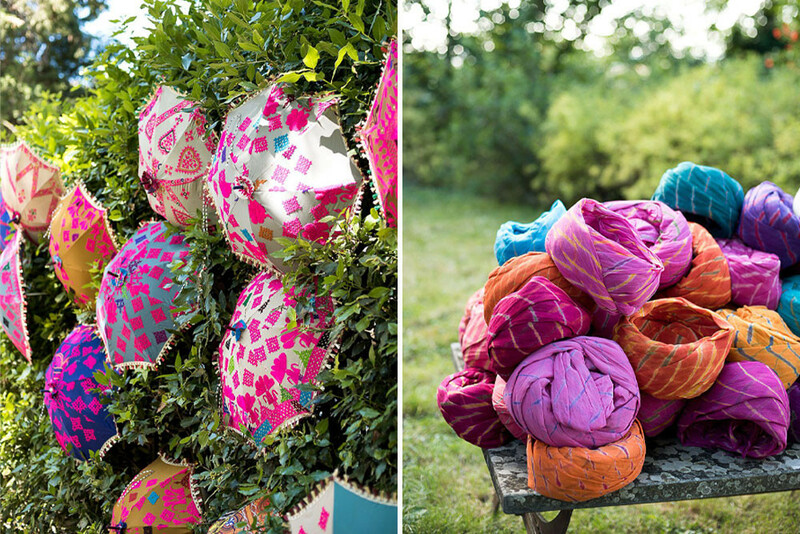 The Borgo had a long country road running through it which we lined with giant flags made from colourful sari material. 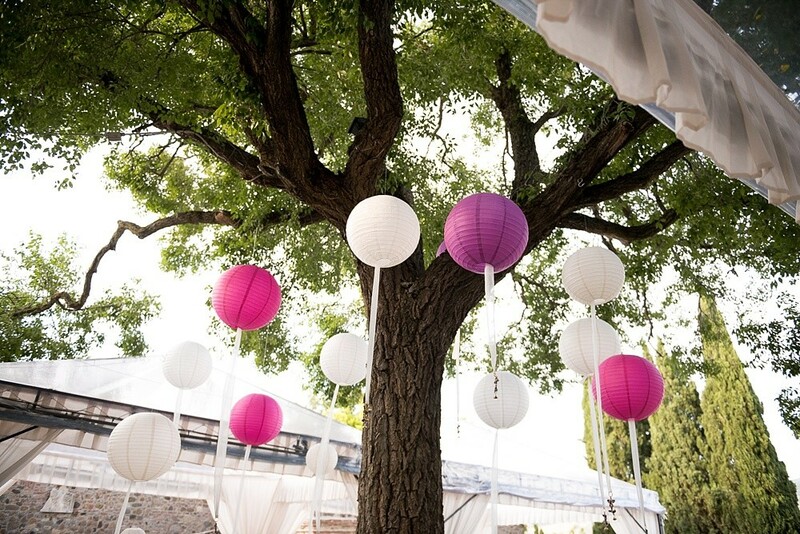 Ornate parasols in bright colours were placed in the bushes, there were lanterns hanging from the trees and in the evening there were little tea lights in patterns on the grass. 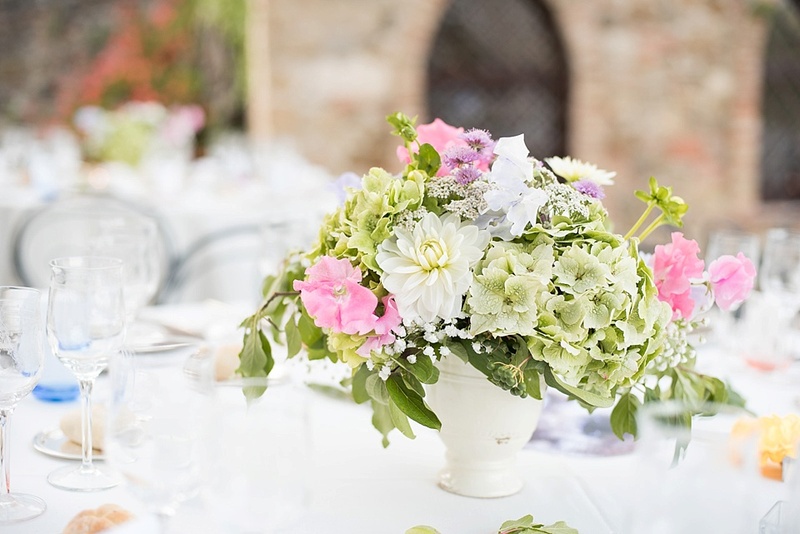 Flowers were done by a local Italian company called Puscina. They had a selection of wildflowers on each of the tables and large bouquets of white flowers at the ceremony and in the dining area. 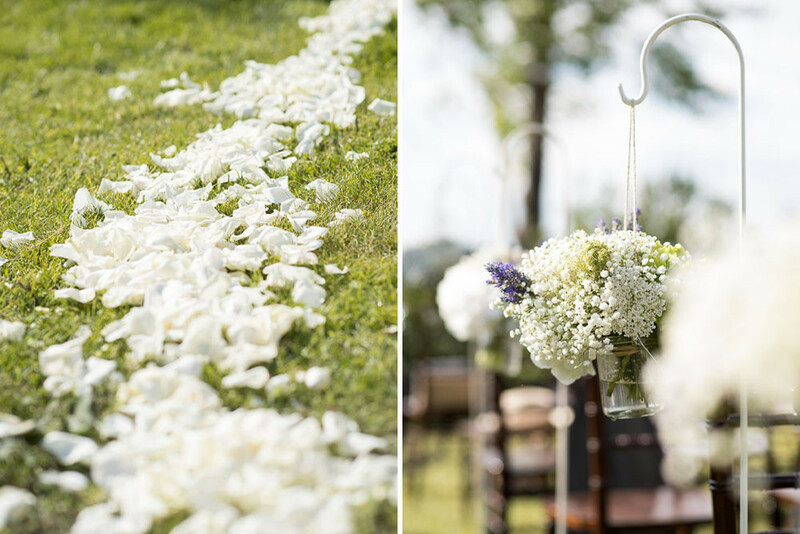 There were also white flower petals that were used to make an informal aisle at the outdoor ceremony area. The Bridesmaids wore white silk dresses from Ghost. 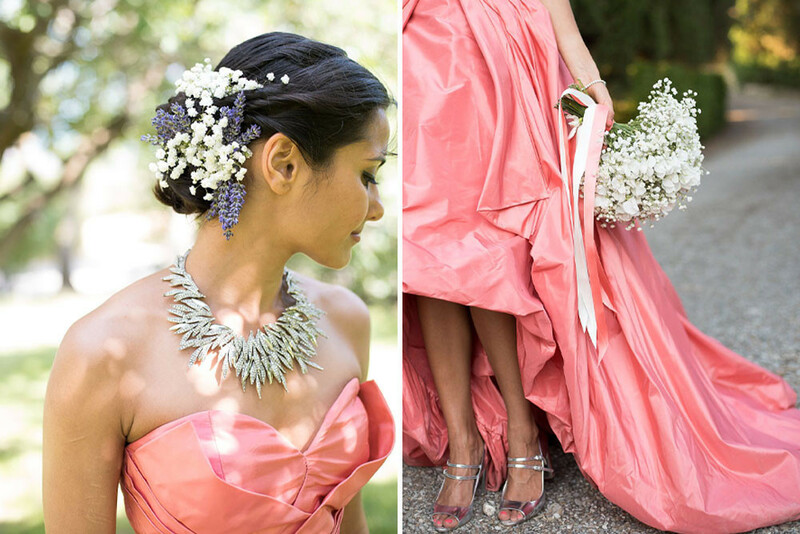 The hairstylist wove white flowers through their hair to finish the look. The Groomsmen wore grey waistcoats with a cream lining over white shirts. Their outfits were also made by Jantzen Tailors in Hong Kong. As well as having readings by Jonny’s Mum (‘A Native Indian Blessing’) and one by my bridesmaid (‘Guess How Much I Love You”), we also had traditional Indian prayer chants led by my Father. They were the same prayers he used to say to me and my sister before bed every night growing up and he had everyone in tears. At the end of the ceremony after greeting the guests, I was carried by Jonny and 7 of his friends (and former rowing team-mates) down the hill to the reception in a sedan chair that the owners had made and decorated. 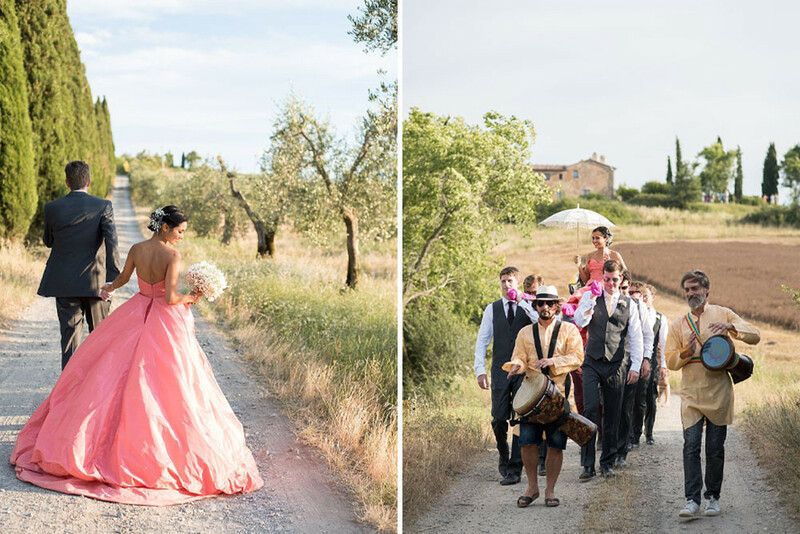 I got to sip a glass of bubbles whilst being marched through the countryside, led by some bangra drummers! On the Friday night we had an Indian themed party where Jonny and the boys, me and girls and the parents and their friends each performed an Indian bangra dance that had been pre-choreographed. We also had a performance from one of the guests, a well-known Indian contemporary dancer called Astaad Deboo. On Saturday night we had a 60s cover band organised through Scarlet Entertainment – even though dinner ran over till 12:30 (instead of 10:30) we were happy to stay late and had everyone on the dancefloor! We used a wonderful UK-based DJ called Raj, who created a brilliant mix of Indian and Western music and had everyone dancing till dawn! In keeping with true Italian style, we tried to kill our guests with food provided by the caterer, organized through the venue, Tonino Banqueting. We had over 50 canapés (cold and melted cheeses, meats, arincini, stuffed zucchini fritters…), followed by two pasta courses, a meat course, cake and then desserts and cheeses by the dance floor! The cake was a traditional Italian wedding cake made in the shape of a flower with delicate pastry layers filled with vanilla cream and different fruit on top of each petal. Absolutely mad! 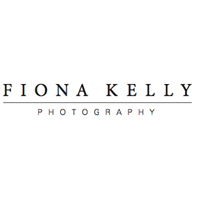 Our photographer was Fiona Kelly. She came highly recommended through a friend, who is a professional photographer herself. We hired Shoot It Yourself who provided video equipment that their friends could use and then edited the final footage down to a 5 minute and 45 minute wedding video. The final footage was much less polished than it might have otherwise been but was great fun, well edited and brought all the memories back! The brides necklace was amazing? Can I find out where it’s from?? 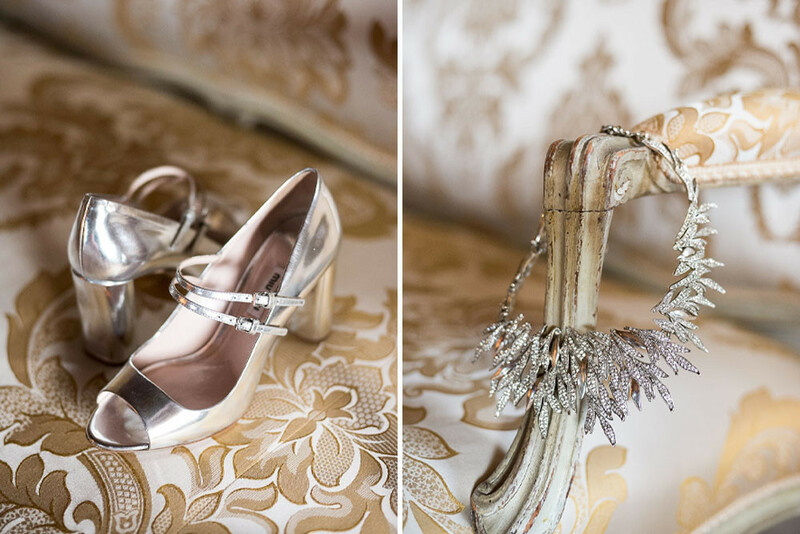 I have stumble upon this wedding and I’m absolutely in love with the photos and colours. Everything is photographed in a very elegant way. Well done Fiona!